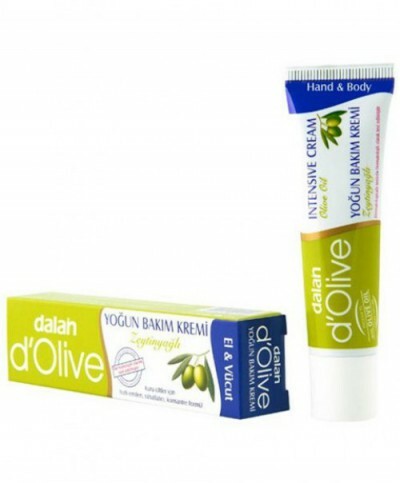 This cream has been produced in Turkey by Dalan who has got 70 years of experience in creating beauty products. 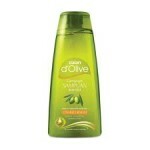 Dalan produces olive oil from the highest quality of olives and uses them in its products to ensure optimum quality. Raw material sand finished products are analysed and quality controlled according to internationally accepted standards. The size of the cream makes it very practical for carrying in your bag. You will be receiving 20 ml bottles. For external use only. Thanks to its concentrated Mediterranean olive oil formula, d’Olive Intensive Cream is quickly absorbed into dry skin to deeply replenish its moisture. 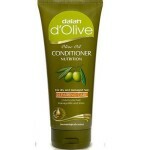 It nourishes dry skin, for an intense relief, providing ultimate softness and suppleness, with a non-greasy feel. Whilst revitalizing your skin, it provides long-lasting protection against extreme conditions, making it ideal for extra dry skin, such as chapped hands, cracked heels. d’Olive Hand & Body Cream for dry to normal skin is quickly absorbed helping to restore your skin’s natural moisture balance, instantly making it soft and supple. The high Vitamin E content of olive oil nourishes and revitalizes your skin, providing a healthy glow to your skin. The Antioxidants in olive oil help to rebuild your skin’s natural protection system against daily external factors. Being tested in the German Derma consult Gmhb Institute, it can safely be applied to sensitive skin. 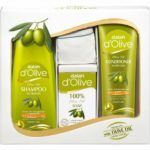 d’Olive Hand and Body Cream intensively moisturizes your skin, providing relief to dry skin, making it soft and adding a natural shine. 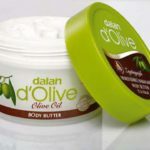 Tags: Where to buy Dalan olive oil intensive care hand & body cream, lotion, yogun zeytinyagli el & vucut kremi Kanada, Canada, Toronto, Mississauga, Montreal, Calgary, Ottawa, Edmonton, Mississauga, Winnipeg, Vancouver, Brampton, Hamilton, QuebecCity, Surrey, Laval, Halifax, London, Markham, Vaughan, Gatineau, Saskatoon, Kitchener, Windsor, Regina, Richmond, Richmond, Hill, Oakville, Burlington, Oshawa, , Catharines, Cambridge, Kingston, Whitby, Guelph, Ajax, Thunder, Bay, Vancouver, Milton, Niagara Falls, Newmarket, Peterborough, Sarnia, Buffalo, Fredericton, Alberta, British Columbia, Manitoba, New, Brunswick, Newfoundland and Labrador, Nova Scotia, Ontario, Prince Edward Island, Saskatchewan, Northwest Territories, Nunavut, New York, Los Angeles, San Francisco, Arizona, Washington, Florida.